I just received awesome news from one of my dearest friend whose face is often featured in this blog that there’s a possibility our next trip might be: BROMO! Mount Bromo. Source: Wikipedia commons. 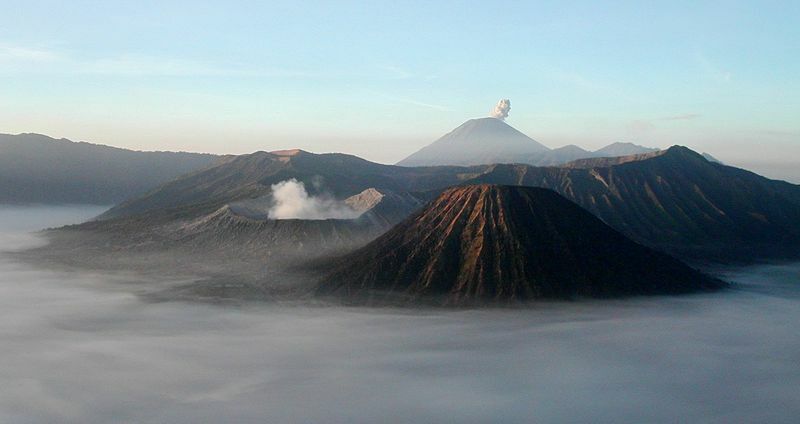 Bromo is a famous mountain in East Java. It would be a shame if Eastern Javenese never visits it. In other words, I’m shameful. I know, I know.. No need to point fingers, folks. A couple of days ago I was talking with the other-half that I reeeaaally want to see Mount Bromo. The other half has visited Mt. Bromo for like three times. There. I see your finger. Then surprisingly, on the very next day, my friend asked me if I’d like to join the next trip to Mt. Bromo. 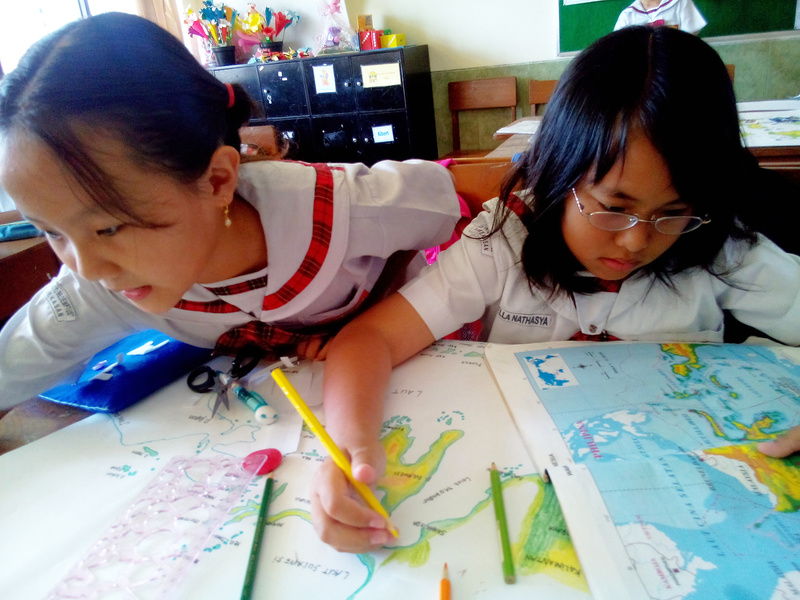 We usually calculate the costs and everything, such as how many people we can gather, lodgings, food, and time allotment. The trip itself is scheduled in May and I really hope that the destination is still Mt. Bromo. Because you see, last year we went to Mount Ijen – famous for its sulfur mines and Blue Fire (I think I’ll post my trip to Ijen next). Well, long story short, I could not stand Ijen low temperature but my dear friend wanted to re-visit it again because she wasn’t able to see the Blue Fire at that time. So, depending on the result of our meeting, we could go to either Mt. Bromo or re-visit Mt. Ijen. I do hope it’s Bromo. Pretty, pretty please? The other-half had a visit from one of his closest Japanese friend. They knew each other during his day studying Mandarin in Taiwan. Have I told you that we both are Language Freaks? Hey! We even DID try to learn Sindarin. Well, I did try. He, at the other hand, succeeds. So, Êl síla erin lû e-govaned vîn! Museums in Surabaya area, as long as I know are “Mpu Tantoelar Museum” which closes at around 3, and the second option, “Tugu Pahlawan” Museum – in which it displays basically war artifacts and records war history around the event of 10 November when Indonesia maintained its liberty from Netherlands during our status quo under Japanese when the later country and “Axis countries” suffered the loss against “Allies or United Nations”. So. I was like, ummmhh, Japan, War and Japanese guest are better not to be put into one sentence, don’t you think? It’s closed at 5 but again, this guy might have lots of more interesting nature-like places that are better-managed than our Mangroove Forests. No offense to our Mangroove forests though because I personally love that place. But the fact that it isn’t open till night makes it impossible to entertain our guest. Ughhhh… no comment on this one. My lips are sealed. I hear no evil, see no evil, speak no evil. 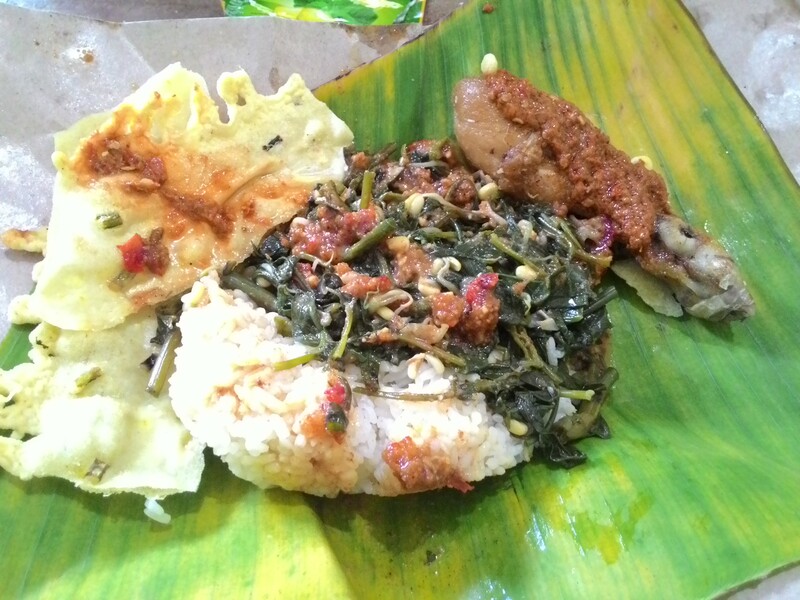 Finally, we decided that we would take him (we only have one guest actually), to a more traditional-meet-modern place which sells local foods. LOADS OF LOCAL FOODS! So, East Coast Pakuwon be it. Our dear guest then tried “Bebek Pak Janggut” – a duck dish which traditional spices, and “Sate kelopo” – a traditional beef or chicken kabobs (the locals call it “sate” or “satay”) with coconut shreds on top of it & peanut sauce. 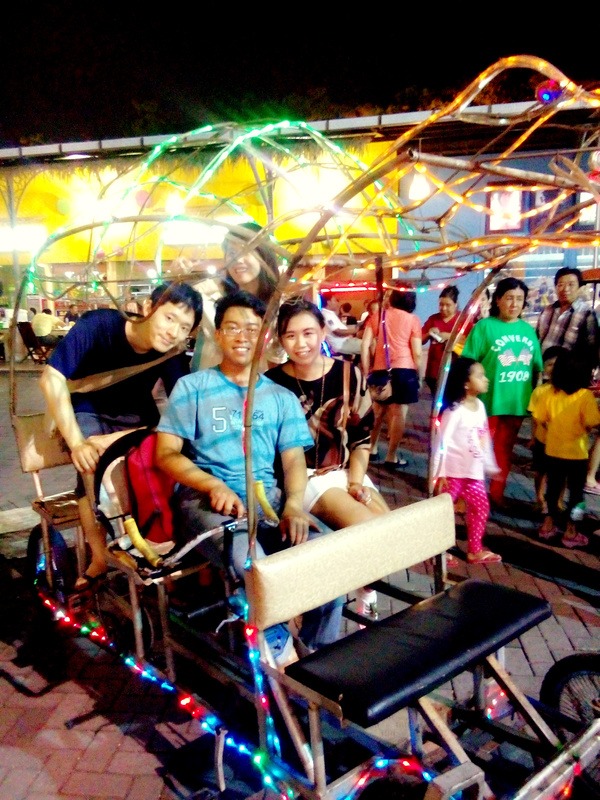 Then at the end of the day, we rode this lights -decorated four-wheeled cycle that we have to cycle OURSELVES! Because, this cycle is obviously not available in Japan! Behold! Hiding behind the light is my good friend who-shall-not-be-named. And if you’re wondering which is our Japanese guest, he’s the guy in dark blue t-shirt. Because Asians look the same, right? NO. I’m such a lame person. Really. I set up this blog really wanted to put some busy thoughts in my head into writing, but, God knows, I’m such a lazy person. Or a sanguine. You know. Sanguine. We like to dream bigs, create big things but zero in realization. Yap! That’s me. Self-proclaimed choleric-sanguine ENTJ. Shame on me. I deserve to be beheaded with a light_-saber. Someone got me Darth Vader!